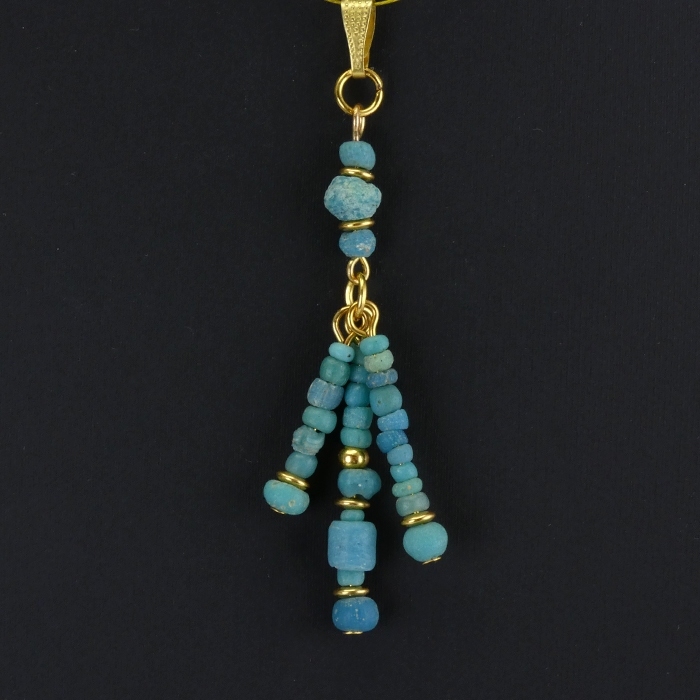 Pendant with Roman turquoise glass beads, triple drop design. 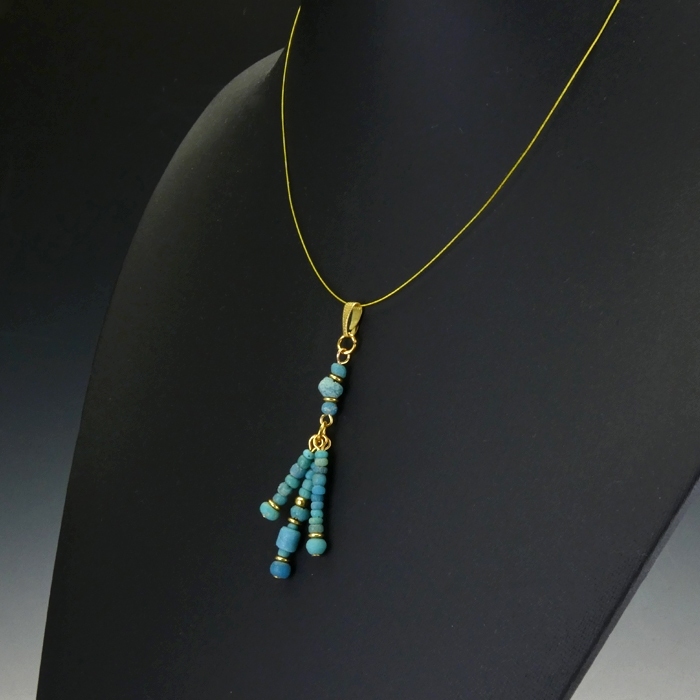 Restrung with authentic Roman beads and decorative metal spacer beads. 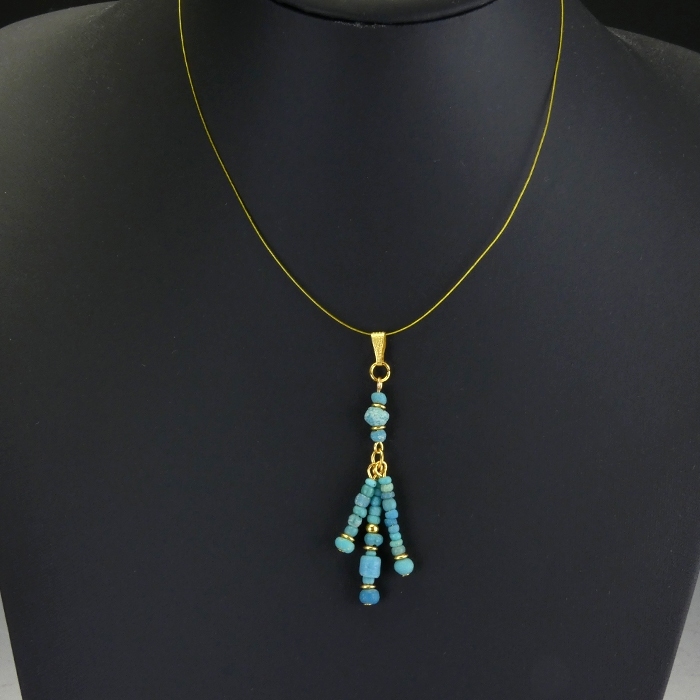 Wearable (bail).